Welcome to Affordable Fencing Company. 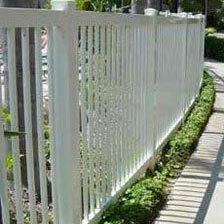 We are your source for custom vinyl, aluminum, glass, cinder block, and wood fences of exceptional quality in Eastvale. We have served thousands of residential and commercial clients since 1984, and developed a reputation for competitive prices, quick installations, superior service, and long-lasting results. We use premium-grade materials and skilled craftsmanship to build fences and gates that not only meet our clients' expectations but also exceed them. Whether you want to install a decorative picket fence, automated driveway gate, or elegant glass railing at your Eastvale property, we can help. We begin all new installations with a free estimate and take the time to fully comprehend our clients' needs. We offer a wide range of fencing styles, including privacy fences, ranch rail fences, picket fences, security fences, pool fences, and more. 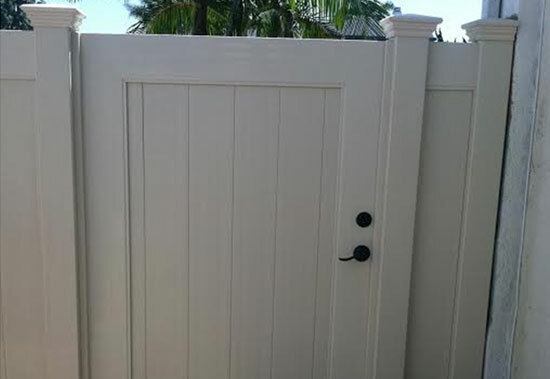 We also have access to an array of fence stains, paints, textures, and finishes which allow us to customize each of our fences to our client's unique aesthetic preference. Our fences can be built to nearly any specification or designed to achieve the level of openness, privacy, or security you desire. We are also qualified to build pool fences to code. 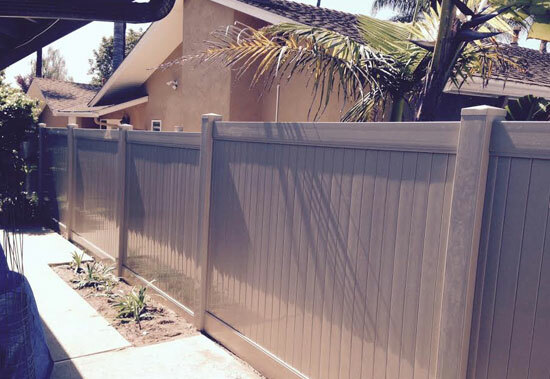 Call us today at (800) 836-4899 to talk about your fencing needs in Eastvale. In addition to fences and gates, we also custom build attractive and durable gazebos, patio covers, arbors, and gate arches. Fencing or other outdoor structures made of vinyl feature a 50-year transferable warranty, and those made of aluminum come with a lifetime warranty. We are happy to answer your questions or provide you with a free price estimate. 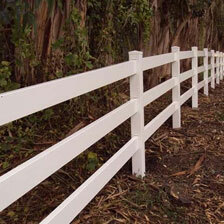 Affordable Fencing Company is fully bonded, insured, and licensed. 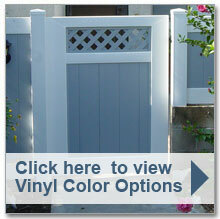 Call us today to install a vinyl fence at your Eastvale property. In business since 1984, we have a longstanding history of helping our customers get beautiful and durable vinyl fences at an affordable price. With our expertise and excellent track record for customer satisfaction, Eastvale residents, community associations, and business owners can rest assured that our vinyl fences and gates will look great for years as they resist warping, corrosion, rotting, peeling, and blistering. Additionally, our vinyl fences are protected by a 50-year transferable warranty and are virtually maintenance free. 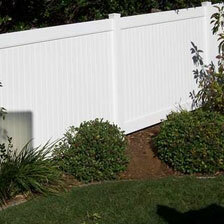 For attractive, durable, and affordably priced wood fences in Eastvale, call Affordable Fencing Company. With over 30 years of experience, we expertly design, build, and install wood fences that support a range of functional and decorative needs. 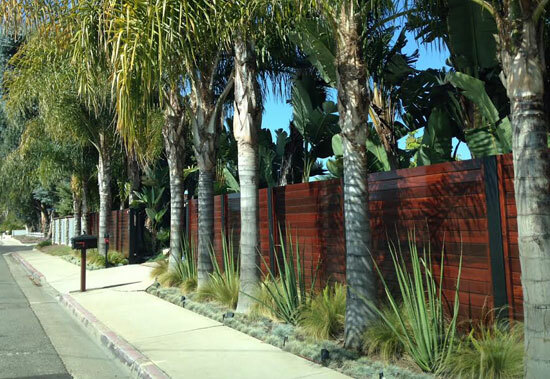 We craft our wood fences in Eastvale from gorgeous redwood, or other wood species if that is our client's preference, and offer options for natural, painted, and stained looks. 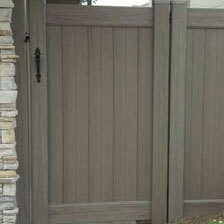 Moreover, we customize our wood fences to each customer's exact size, spacing, top edge, and post cap preferences. 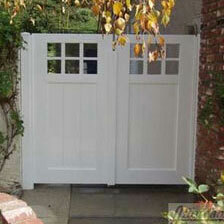 We also custom build wooden gates to match or complement our fences. Our gates can feature motorized options, double-entry doors, or specialty hardware, such as high-security locks or stylish handles. 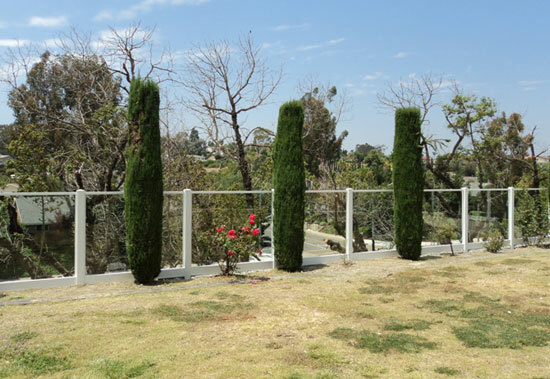 Eastvale clients that need a perimeter fence or railing but wish to preserve their mountain, ocean, or other landscape views can come to Affordable Fencing Company for a solution. 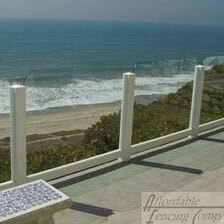 We are experts in the design and installation of glass fences and railing and do our best to deliver real value. To achieve this, we maintain a team of master craftsmen and exclusively use high-quality, tempered safety glass with low-maintenance vinyl frames to ensure long-lasting and attractive results. 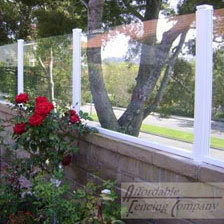 Our glass fences and railing can be constructed with or without a top rail and feature gorgeous glass etchings. We also offer our vinyl frames in a variety of colors. Call today to obtain a free estimate. Affordable Fencing Company is Eastvale's fencing contractor of choice when it comes to aluminum fences and gates. Whether you want to have your aluminum fence complement, define, or secure your property, we have the knowledge and skills to fully meet your goals. We have access to an array of premium-grade aluminum materials of varying sizes and thicknesses, all of which are backed by a limited lifetime warranty. This warranty protects against manufacturer defects as well as peeling, cracking, blistering, and chipping. 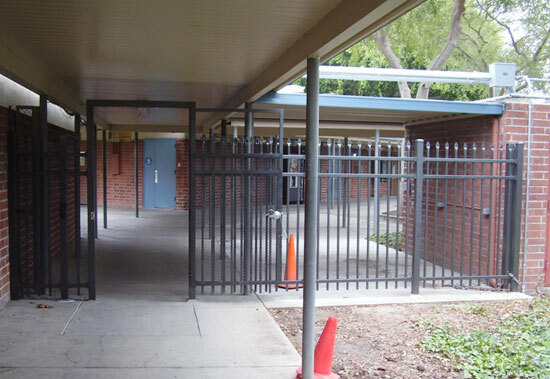 Call us today to learn more about our aluminum fences for Eastvale customers. At Affordable Fencing Company, we're experts at building aluminum pool fences, vinyl-reinforced aluminum pool fences, and glass pool fences, as well as coordinating pool gates. 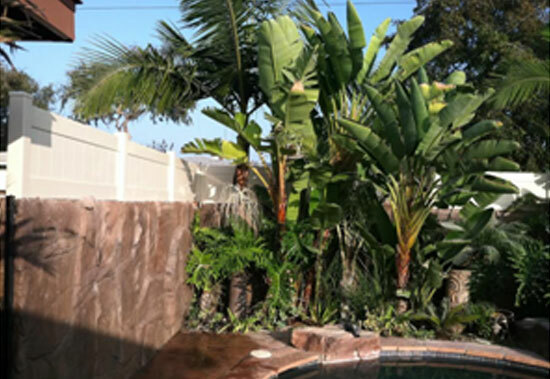 We are preferred by many Southern California residences, businesses, and homeowner associations throughout Southern California, as we are skilled at delivering gorgeous, code-compliant pool fences that are affordably priced and installed in a timely manner. Not only are our pool fences built to last, but they're also backed by unbeatable warranties, ranging from 50 years to a lifetime. 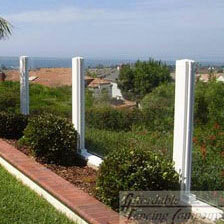 Contact us today to begin designing your pool fence in Eastvale today. Call Affordable Fencing Company today and we will help you complete your vinyl, glass, aluminum, or wood fence in Eastvale with a coordinating or matching gate. With above-and-beyond customer service, competitive prices, timely installations, and extensive warranties, we offer Eastvale's best value in walkway and driveway gates. We custom design each of our gates in Eastvale and specialize in both single- and double-door gates, motorized gates, and security gates. 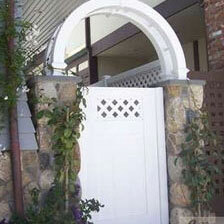 Our gates can feature any of our numerous gate post cap designs, finishes, hardware, and more.